I always liked Monocle. I've been following it since it first premiered back home in London 2007. Imagine my surprise when I found out that they have a podcast all about cities - The Urbanist! It's now on my Windows Phone and I gave a heads up to the team. A must-listen! I've been reading Jeff Speck's Walkable City: How Downtown Can Save America, One Step at a Time. I highly recommend it. One reason why we moved to the Varick Incubator is not only to be at the center of the action, but also because I always loved exploring NYC on foot - the most walkable city in the US. To this day, I'm amazed how the urban landscape changes within a few hundred feet as you walk from one NYC neighborhood to another - the upscale shops of Soho, to the amazing restaurants of Little Italy, to the hustle and bustle of Chinatown. And according to Jeff, it's no accident that the most vibrant centers of innovation in the US are the most walkable cities. Cities are "serendipity and inspiration" engines - meetups, cultural events, random sightings, diversity central, happy accidents. That's why I've taken to walking a lot more. Not only is it the main form of exercise I get nowadays, my best inspirations often come to me when I allow my mind to wander as I explore the urban canyons of NYC on foot. New York State – the Empire State of Data! During yesterday’s State of the State speech, Governor Cuomo announced that he intends to implement a comprehensive statewide open data portal. Woohoo!!! This news brings back memories of us literally jumping up and down in Sami’s basement when we heard the unexpected news of NYC passing its Open Data Law. But then, we tempered our celebration when we found out that unlike NYC, there was no law to mandate Open Data statewide. In our view, its critical that a law be put in place to ensure that this Open Data initiative is sustained beyond gubernatorial election cycles. Perhaps, Governor Cuomo can push through a law similar to NYC’s Local Law 11 of 2012 and appoint a statewide Open Data Tzar (NYC has one with Andrew Nicklin), who will then have the necessary “sticks and carrots” to push through Open Data initiatives. Governor Cuomo, assuming he wins reelection, has till 2018 to pass through a statewide Open Data Law. By then, NYC’s Open Data Portal would be fully operational with all, if not most of the City’s data. As they say, hope springs eternal. As part of my New Year's resolution, I got myself a Jawbone Up and try to log at least 10,000 steps/day. Its also a good excuse to explore NYC on my evening commute home. 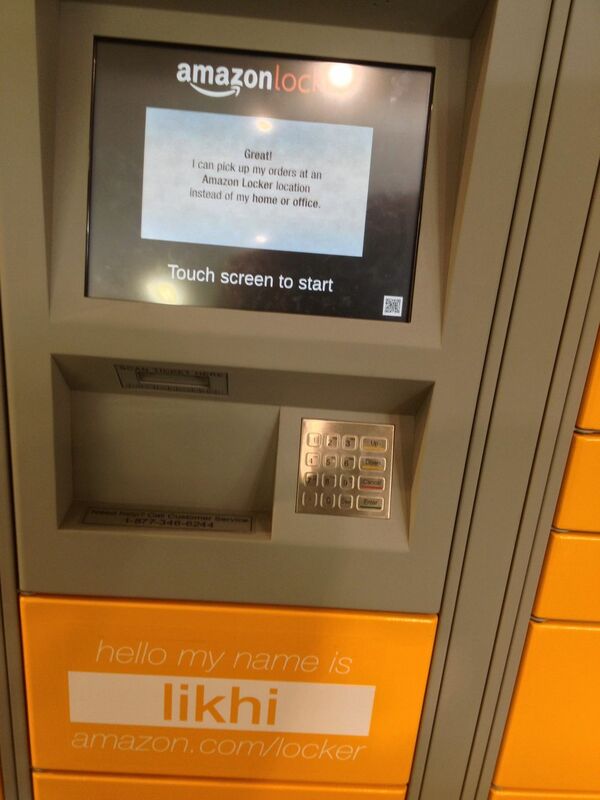 Here's one discovery I made when I ducked into a Staples last night - an Amazon Locker. I was at the same Staples the week before and it wasn't there. 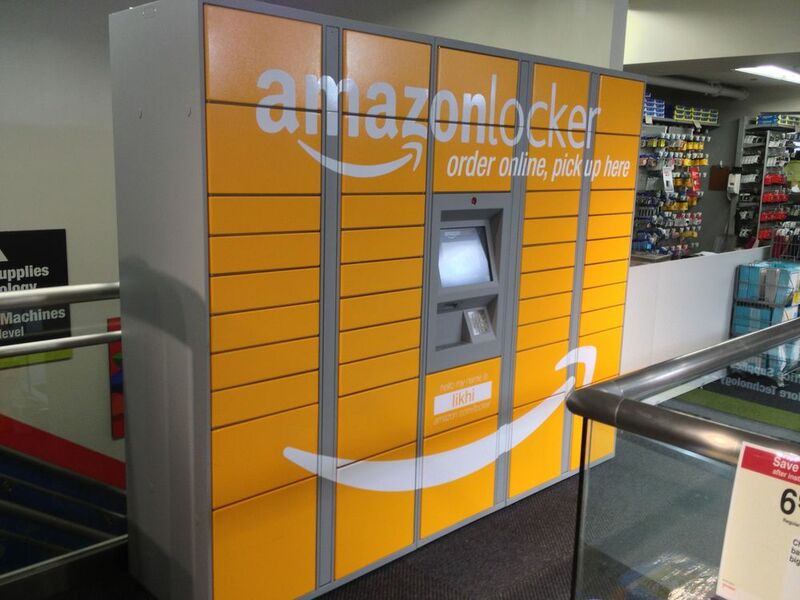 Amazon continues to disrupt.